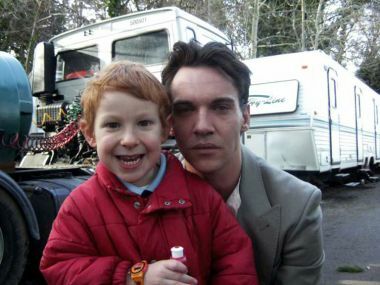 Jonathan Rhys Meyers Fansite > First image from Albert Nobbs! Jonathan, we want more of you on the Silver Screen. Can’t wait to see Albert Nobbs. I am reading so much positive press about this movie! It is already getting Oscar buzz. I tried get a copy of the play but had no luck. Does anyone know where I can get it? I want to read it before I see the film. He looks so tired. He needs a nice long vacation where he’s not bothered by paparazzi. Get some rest, mister! it’s great to see you again Jonathan!! he looks so old like he’s 40 not 34! Very excited to see that movie…!!! I love you, you’re a great actor!!! And today it’s a special day…HAPPY BIRTHDAY Jonathan!!!! Can’t wait for this to come out….I also agree stop being so hard on yourself…we are all just human and make mistakes and we all feel pain…need more screen shots!